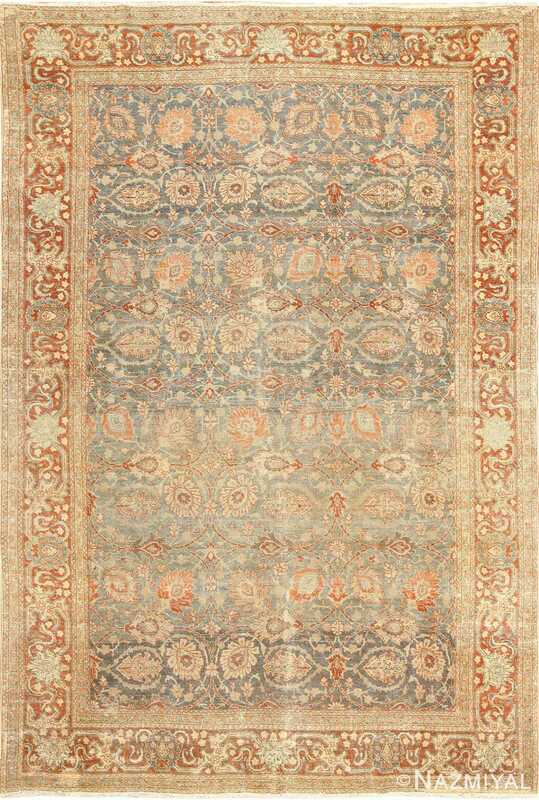 Featuring large blossoms and sinuous vine scrolls presented in a high contrast pallet, this antique Tabriz rug is a unique and fascinating example. 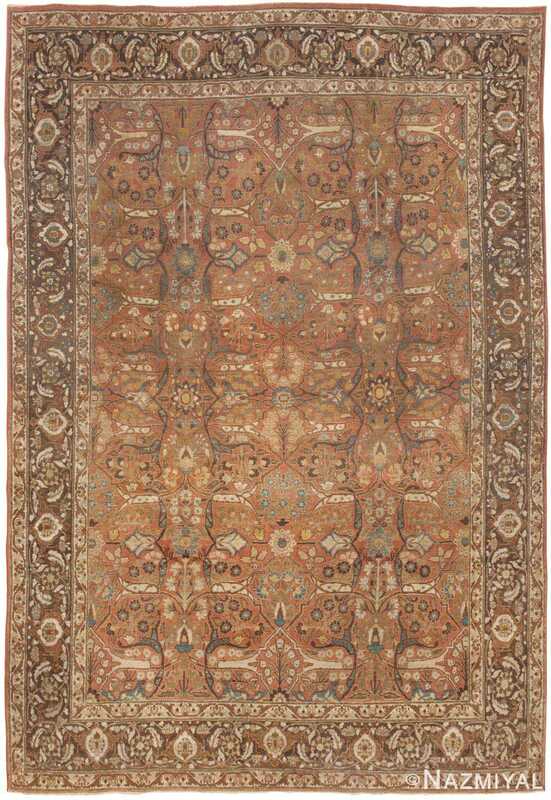 Beautiful Antique Persian Tabriz Rug, Country of Origin: Persia, Circa date: Early Twentieth Century – Featuring large blossoms and sinuous vine scrolls presented in a high contrast pallet, this antique Tabriz rug is a unique and fascinating example. Beginning with the borders of this lovely antique Persian carpet and proceeding inward, one encounters a series of surprises and exciting aesthetic flourishes. The primary border, for instance, is decorated with a variety of floral details, all unified by a lovely, flowing series of vine scrolls. It is framed on the outside and the inside by small, matching inner and outer borders, also richly decorated. The plane gold tone that colors the details over the red in the borders is also utilized throughout the field, where it dominated the action. 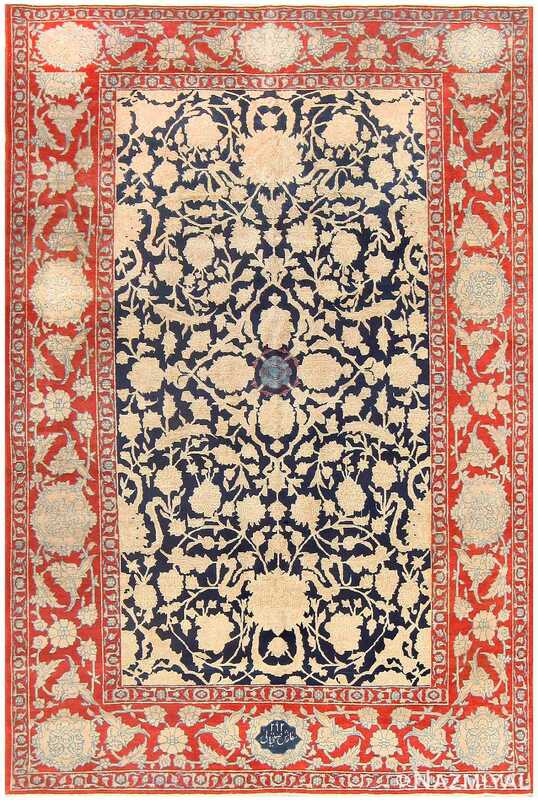 Set against a deep blue, almost black, background, this tangle of golden flowers and vine scrolls infuses the entire carpet with a sense of motion and dynamism – a quality underscored by the tiny medallion at the center of the antique rug, about which everything else seems to be moving. 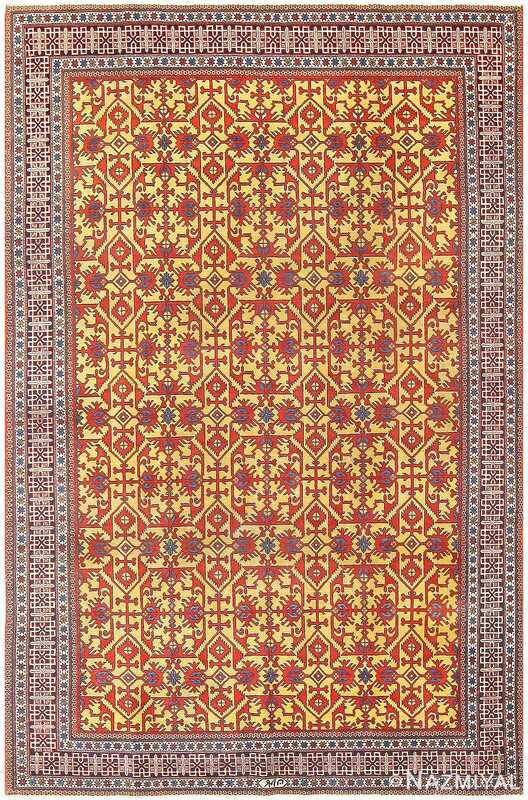 Quatrefoil arabesques rendered in a combination of beautifully oxidized colors decorate the warm burnt sienna field of this stately antique Persian rug from Tabriz.